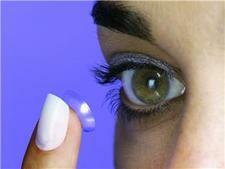 Contact lenses can improve eyesight immensely, says a manufacturer. People could be mistaken for thinking there is nothing more impressive than having 20/20 vision. It might come as a surprise to know that there is - as much as 20/100. Those people who have 20/20 vision can see an object well while standing 20 fet away from it. The lucky ones who have 20/100 vision can see the object just as well if it is 100 feet away. Some seven out of ten people who need vision correction can achieve 20/100 eyesight when they are fitted with contact lenses, according to Johnson and Johnson (J&J) Vision Care. J&J, maker of 1 Day Acuvue daily disposable contact lenses, adds the convenience and comfort of Acuvue lenses make them especially appealing. J&J was the first firm to develop a daily disposable lens.